Speed up your planning process and discover grouping on Ganttic to fully utilize its features. Group your resources by projects or by resources parameters values. Grouping your resources helps you to have a quick overview of your projects, locations, department, and other custom criteria. Resources can be grouped by list type custom data fields and projects. You can add custom data fields to create new groupings. No resource grouping is applied by default. 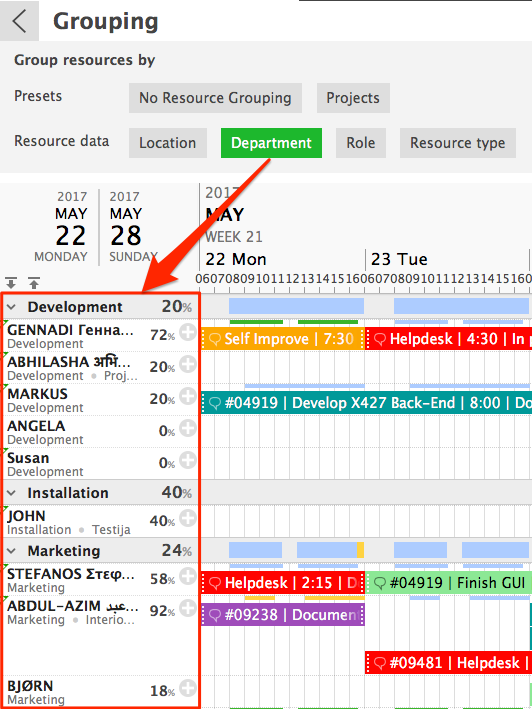 Your resources will be grouped accordingly in the Gantt chart area. 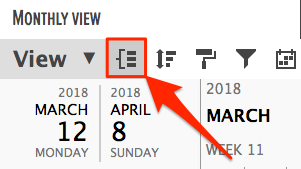 You can save resource grouping to the custom view using the save icon on the view panel or save a new view with the options you have selected. You can also save filtering and coloring options and the time period to the view. Did not find the answer to your question regarding resource grouping?